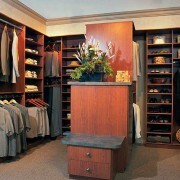 At Classy Closets we know that every one of our Customers are a unique individual, and every home is uniquely different from another. 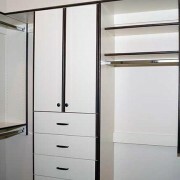 That is why every Closet our Professional Designers create is as unique as you and your family are! 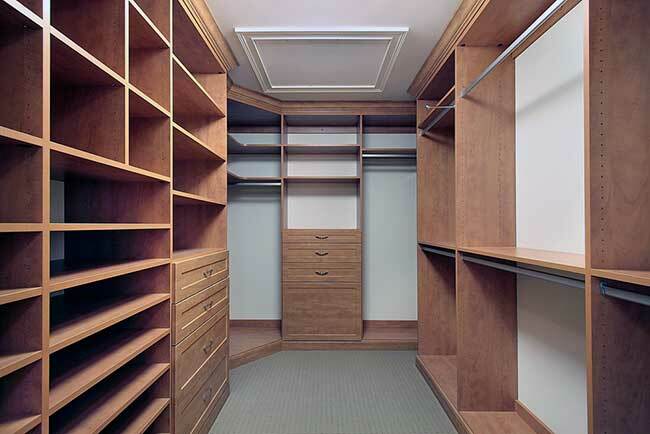 And whether we are building a basic closet, or a “masterpiece closet” for your Master Bedroom, every single closet we create is designed and built to fit your individual needs. 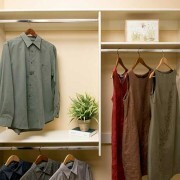 It’s also important to note that none of our closets are mass manufactured! 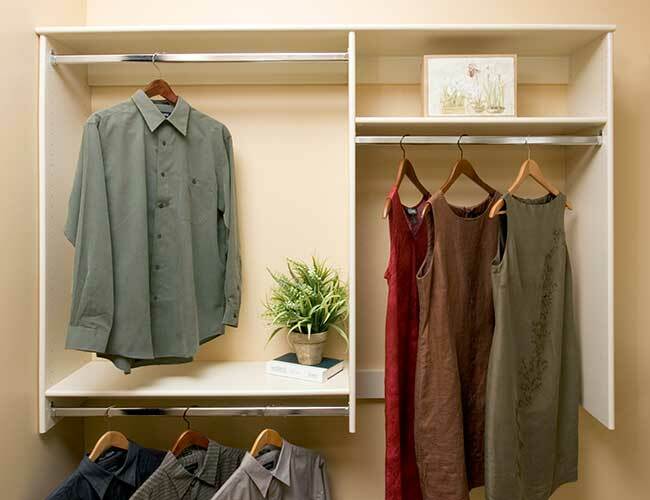 Every Closet we produce is lovingly designed and manufactured at our own local state-of-the-art manufacturing facility; so we can create anything you can dream up, deliver it quicker because we manufacture locally, which also allows us to keep your cost down because we cut the middleman out! Step One: Schedule your FREE Consultation with one of our Expert Professional Design Team. Step Two: One of our Personal Designers will come to your home or office to consult with you and discover exactly what you want most. They will measure the space, discuss in detail what you have to store there, and what your personal preferences are for colors, wood, hardware, accessories etc. Step Three: Our Designers will go to the drawing board and design exactly what was discussed and send you an estimate for your approval. 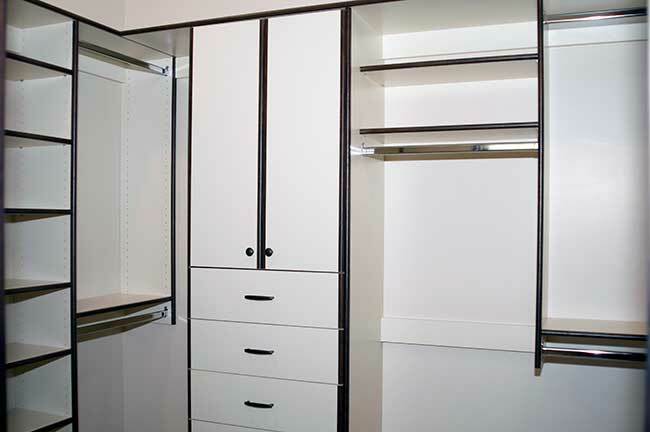 Step Four: The Elements for your personally designed closet will be manufactured and readied for installation in our state-of-the-art manufacturing facility. 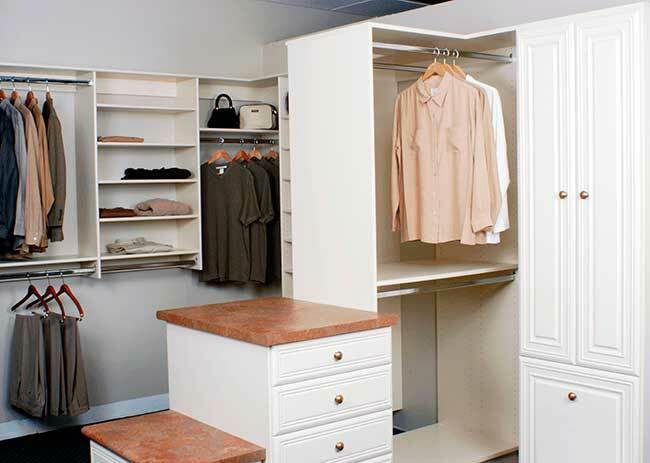 Step Five: Our Professional Installers will show up at the arranged time and install your stunning new closet, clean up after themselves and leave you with a very large smile on your face and jumping for joy because your closet turned out better than you had even imagined it! Don’t let your home become overrun by clutter! Having a specific place to put everything can make all the difference! At your FREE Consultation our Designers talk to you about your lifestyle and what makes you happy. Then all of that goes into the design of your storage spaces…. No matter where they are in your home! 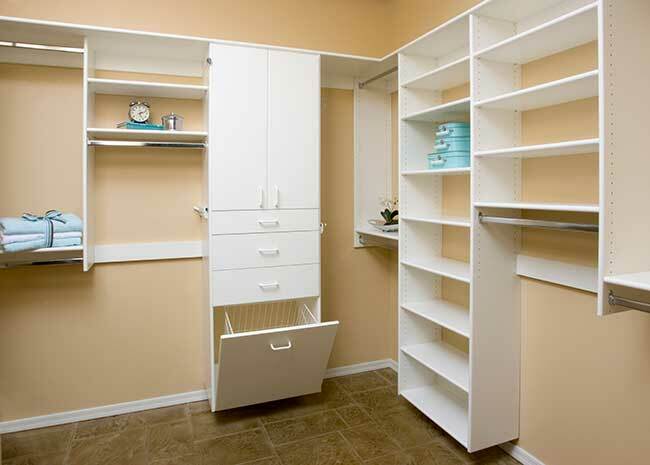 You might be shocked at how a small nook or cranny that you thought of as wasted space can be put to use and become a storage area for items you didn’t know what to do with before! Blank walls can become wall units that include not only shelves and storage bins… but can even become fold down wall beds, desks and tables; neatly hidden away until they are needed. 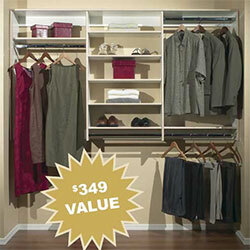 How much more could you store neatly away if you could utilize all that wall space from floor to ceiling? 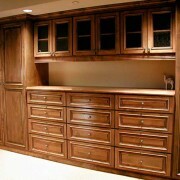 Our designers can show you how to utilize space in your home in hundreds of ways that you never thought of! Tired of spending too much time searching for important documents, the accessories that perfectly match your outfit, or seasonal camping equipment now hidden behind a mountain of other objects? Are you forced to purchase identical items because you can’t find the ones you already own? You’re not alone. 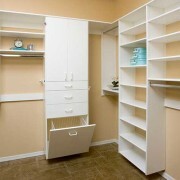 The vast majority of homeowners list storage and organization as their top two desired changes. A professionally designed and outfitted space that is customized to your specific needs is the perfect solution to all your frustration! Our Designers combine beautiful and functional elements to organize a space that reflects your individual style and taste. 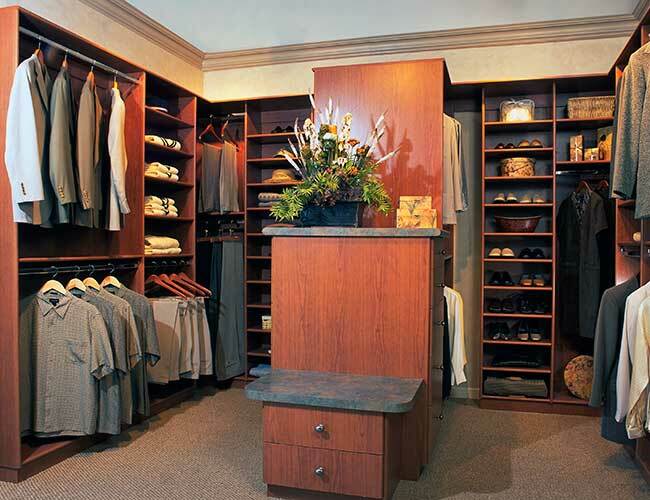 Since 1984, Classy Closets has helped hundreds of home and business owners “clean up their act” with customized storage solutions. We don’t focus only on closets, either. Your garage, pantry, craft room, laundry room, or media room, can be converted into a space you’ll want to spend time in as well. Clutter and chaos cause frustration and waste your time, but a customized organization solution that is just right for you, brings peace of mind, while allowing you to complete tasks more enjoyably and efficiently. 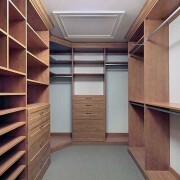 Any closet, whatever the size, benefits from some critical analysis. 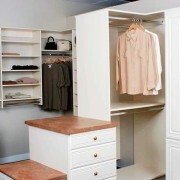 For clothing storage, it’s important that you can easily view and select outfits and shoes with ease. What do you use and wear frequently and what needs to be stored out of the way? Do you own a collection of handbags, shoes, hats, or other clothing articles or accessories that need to be organized better so they are easily found when needed? Can you quickly locate a special suit jacket or sweater without having to spend valuable time searching for them? 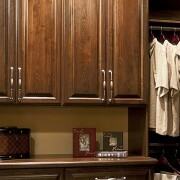 Let our Professionals help you identify how you store your clothes and customize a closet that meets your needs. 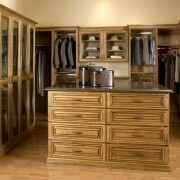 Your Personal Design Expert helps you select from a large variety of storage combinations, melamine colors, beautiful grained woods in a large variety of stunning finishes, door front styles, beautifully wrought hardware, and much more to create the ideal customized solution for your closet or dressing room. No more Procrastinating! 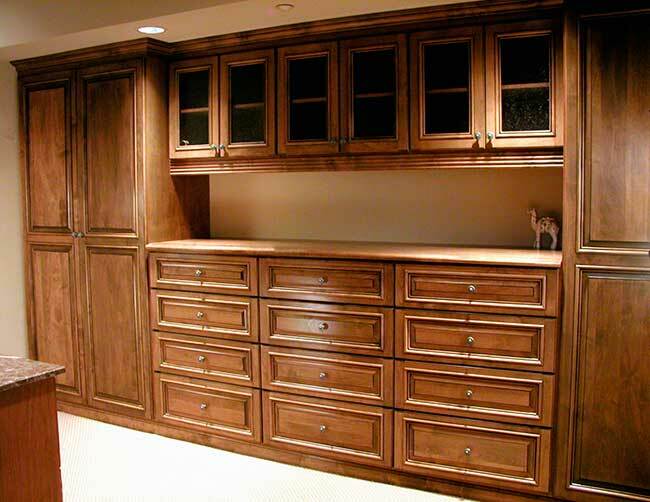 We promise that you will feel better and be happier if you have one of our Professional Design Team create a customized storage solution designed especially for you! Call for your FREE Consultation with one of our Professional Designers Today!